[PDF] Design And Analysis of Reliable And Fault-tolerant Computer Systems | Free eBooks Download - EBOOKEE! 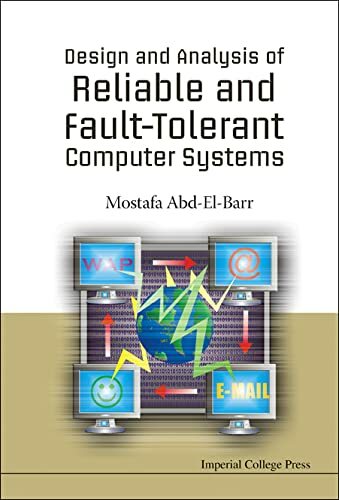 Description: Fault tolerance, reliability, and availability are becoming major design issues nowadays in massively parallel distributed computing systems. Examples of systems in which fault tolerance is needed include mission-critical, computation-intensive, transactions (such as banking), and mobile/wireless computing systems/networks. High performance, measured in terms of speed and computing power, is essentially used as major design objective for such systems. It is however conceivable that great loss of crucial transactions can take place due to a small system/component error. The emergence of new paradigms, such as mobile/wireless computing, requires the introduction of new techniques for fault tolerance. It is therefore prudent that the issue of fault tolerance become among the set of design objectives of current and future computing systems. No comments for "[PDF] Design And Analysis of Reliable And Fault-tolerant Computer Systems".